It's morphin' time! Hong Kong based scale figure company Ace Toyz has revealed that they will be producing a 1/6 scale figure of the Green Ranger and Red Ranger from the 1st season of Mighty Morphin' Power Rangers! 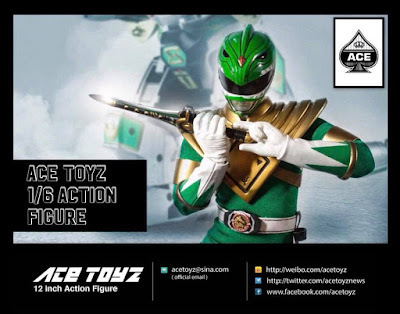 This figures will come complete with highly detailed miniature weapons like the Dragon Dagger, Power Sword, Power Morpher, Power Blaster and will have fabricated suits even the helmets are well made and detailed. Each 1/6 scale figures will cost $110 each and pre-orders will be open next month, February 2018, stay tuned as always if you are planning to get yourself one of these figures. 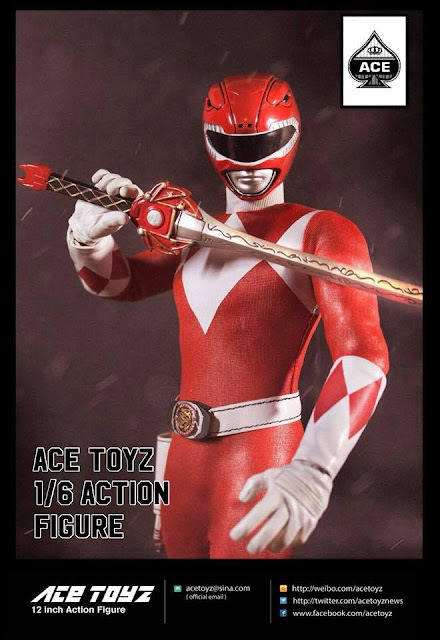 Take note, this are done by a 3rd scale figure company and is not officially licensed by Bandai, Toei and Saban.